Sabic, the world’s largest petrochemical company by market value, has announced strong third quarter results, building on improved prices, reduction in operational costs, increase in production levels, and enhanced manufacturing reliability even as the giant is also looking to expand globally to diversify feedstock inputs and shield itself from oil price fluctuations. In comments after announcing the results, Yousef Al Benyan, Sabic vice chairman and CEO, stressed that a reduction in operational and administrative costs contributed to enhancing the company’s position in the market. 'The impact of these cost reductions were clearly reflected in the Q3 financial results. We are leveraging the outcome of our transformation programme to further enhance the company’s strong position,' he said, while stressing the company’s capabilities in facing different challenges. Net profit for the quarter was SR5.79 billion ($1.54 billion) as compared to SR5.23 billion in the same period last year, an increase of 10.71 per cent, and increased to SR3.71 billion as compared to the previous quarter, a 56.06 per cent increase. Gross profit for the third quarter amounted to SR14.11 billion, compared to SR13.22 billion for the corresponding period last year, an increase of 6.73 per cent, and SR10.35 billion compared to the previous quarter, an increase of 36.33 per cent. Operational profits for the third quarter amounted SR8.56 billion compared to SR7.86 billion for the corresponding period last year, an increase of 8.91 per cent, and SR5.43 billion compared to the previous quarter, an increase of 57.64 per cent. The net profits for the nine-month period of this year amounted to SR14.73 billion compared to SR13.1 billion for the corresponding period last year, an increase of 12.44 per cent. Gross profits for the nine-month period of this year amounted to SR38.14 billion compared to SR36.22 billion for the corresponding period last year, an increase of 5.3 per cent.Operational profits for the nine-month period of this year amounted to SR22.34 billion compared to SR19.93 billion for the corresponding period last year, an increase of 12.09 per cent. The share profits for the nine-month period of this year amounted to SR4.91 compared to SR4.37 for the corresponding period last year. Al Benyan stressed that Sabic achieved these results despite the challenging conditions in the global market. On the company’s role in supporting Saudi Vision 2030, he said that Sabic is exerting every effort to contribute to its success and has taken practical steps in this direction. 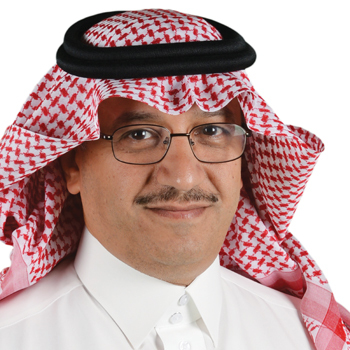 Saudi petrochemicals firms should merge to boost their competitiveness and look to expand abroad, he said. The firms have enjoyed decades of cheap feedstock prices. But Saudi authorities began slashing subsidies in 2016, as a collapse in oil prices cut into state finances, prompting a search for efficiencies in the industry. 'This programme is clearly defined to push companies for more efficiencies and bring them into a mode where they become more competitive with the global players,' Benyan said. Other Saudi petrochemicals firms should 'look at ways and means to consolidate,' he said. Sabic has already begun this process, completing an acquisition of the remaining 50 per cent stake in its Sadaf project from Shell Arabia in August. It is also considering integrating three affiliates, Safco, Ibn Al Baytar and Al Bayroni, which are located next to each other in Jubail, eastern Saudi Arabia. The companies can share feedstock, maintenance and leadership costs, said Benyan. Sabic is looking at possible acquisitions in North America, China and Africa in both the speciality and commodities portfolios, Benyan said, but declined to elaborate. He told Reuters in May Sabic was evaluating opportunities in the range of $3 billion to $6 billion. Sabic posted its biggest profit since the second quarter of 2015 this quarter, as a recovery in crude prices buoyed earnings. Sales prices for core products were up an average of 5 per cent and expenses were reduced, while losses at its restructured Hadeed division dropped by more than half, said Benyan. The company’s outlook for the rest of the year and into 2018 was stable, he added. 'We have stability in crude oil prices, we have stability in GDP growth. I think this is very positive now, looking at 2018. I think 2018 will be more or less like 2017 for us,' he said. Plans to build a polycarbonate plant with Chinese state oil firm Sinopec are moving ahead in China, where 70 per cent of demand for the product is expected to be, said Benyan. He plans to travel to China by the end of this year to finalise arrangements for both that project and a coal-to-chemicals venture with Shenhua Ningxia Coal Industry Group. Benyan said initial plans for an oil to chemicals project with state oil giant Saudi Aramco were to build it in Yanbu, on the west coast of Saudi Arabia. 'I think this is a very strategic location. You can strengthen your position to Africa, to Europe. Jubail still has an option to grow, but I think the west coast is going to enable us not to concentrate all our assets in one location,' he said. Owned 70 per cent by the state and 30 per cent by Saudi and other GCC investors, Sabic is the world’s largest petrochemical company by market value. Before it bought the Dutch firm DSM Petrochemicals in 2002, it was the world’s No 22. The acquisition raised its ethylene output capacity by 1.2 million tonnes to 6.9 mtpy and gave it a key to the EU. In 2007, it grew further with an $11.6 billion acquisition of GE Plastics of the US. 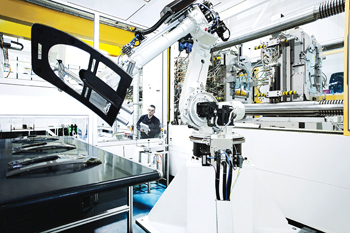 In September 2011, Sabic’s automotive unit Innovative Plastics bought a stake in Inpro, a German JV which develops innovation in automotive production. Sabic thus joined Daimler, Siemens, ThyssenKrupp and Volkswagen and the German state as equity owners in the group. Saudi Aramco eventually will out-match Sabic in this respect through JVs to include Sabic itself and some of the global car-producing majors). Innovative Plastics VP Gregory Adams says: 'Through Inpro, Sabic can participate and add value in the early stages of innovation with world-class producers, who continue to develop and create new vehicles and processes that meet the interests of auto-makers and consumers around the world'.